There are many misnomers about sunscreen, sun block and all of the rays out there. I would like to try and shed some light on the subject. On my ‘About FACE’ show this morning (www.rhinoonair.com) I had an exceptional guest by the name of Allyn Armstrong who is a chemical engineer with the skincare/SPF line, Solise. 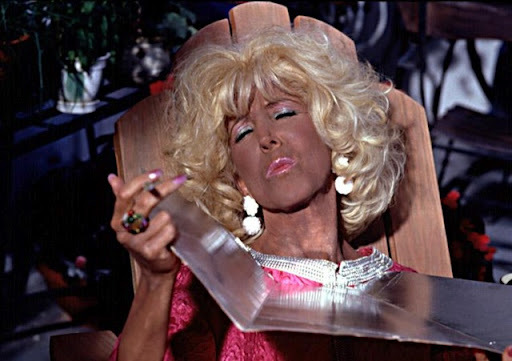 There are so many misnomers about sun care, ultraviolet rays, product ingredients and chemicals and today’s show struck a particular chord with me. And by writing this I also wanted to share this wonderful new invention with you, use it personally and then report on my findings. Experts say that consumers should not purchase sunscreens with an SPF that is greater than 50. SPF (sun protection factor) works by absorbing, reflecting or scattering the sun’s rays on the skin. It is in fact very misleading to put high SPF numbers on labels because it gives consumers a false sense of security and my research proved just that, there is very little difference between SPF 85 and SPF 30. The higher the number doesn’t always guarantee a greater protection. Studies show that a sunscreen with a SPF of 15 can block about 93% of all incoming UVB rays, SPF 30 blocks out 97% and SPF 50 blocks 98%. The protective factors plateau from there and a product with a SPF of 100 plus blocks about 99.1 percent of all UVB rays. You don’t really need a high number SPF’s, it can end up being very expensive and you’re not guaranteed that much more protection than with a SPF 50. Also keep in mind that SPF protects only against UVB rays. 1. Use a sunscreen with a minimum of SPF 15 and a maximum of SPF 50. 3 Choose lotions versus spray sunscreens for a more evenly distributed protection. 4 Remember to apply at least 2 ounces of lotion (about a shot glass full) and reapply often. The sun breaks down the ingredients in sunscreen that protect your skin and experts always recommend reapplying every two hours or after swimming or heavy sweating. I would like to thank Allyn Armstrong for sending me this information: In 2012 the FDA made final a number of standards while proposing a cap of the SPF number at 50 plus and reviewing the efficiency of sunscreen sprays. The large body of data does not demonstrate that an SPF number higher than 50 provides any more benefit than an actual SPF 50 provides. An SPF 50 only provides 1% more protection than an SPF 30 and many experts question whether or not that extra 1% can truly be demonstrated outside of the testing environment. We err on the side of scientific research and not from the voices of an independent, un-biased, third party validation from an accredited testing source. I am looking forward to getting my product in the mail! I want to wash on my sun care! I was so grateful when Michelle Phillips contacted me asking to be a guest on my About FACE Internet radio show which broadcasts on Rhino On Air at 9am Thursdays EST. (www.rhinoonair.com) As I do with all my guests, I googled her and discovered wow, she is not only an amazing and accomplished celebrity makeup artist but a motivational speaker, Life Coach, TV and radio host as well as being a bestselling Hay House author. Michelle guested on my show last week and what impressed me was, not only her extensive range of celebrity clientele but her grace and spirit. Michelle presented me with her book “The Beauty Blueprint” as a personal thank you for being a guest and I promised her then that I would read her book, do the exercises and then blog about my discoveries. As I originally mentioned in my first blog, “In the Beginning” this is not only intended to be informative but I genuinely feel it will also act as great therapy for me. I cannot think of a better book than this to allow me to rediscover who I am from the inside and help reclaim the essence of what makes me uniquely beautiful. I know that these findings and this deep inner self discovery will act as a satisfying and absorbing read. The moment I received my book I devoured the first part of it and it brought me to tears. 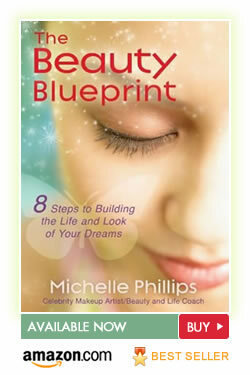 “The Inspiration for the Beauty Blueprint” is the title of the preface of Michelle Phillips’ book “The Beauty Blueprint” www.michellephillips.com and in there I found just that, inspiration. I have been feeling less than inspired lately and this could be the catalyst to change that. I believe that everything begins with what is going on in the mind which ultimately affects your attitude. I want to embrace change. It might appear scary at first but I know that with that change I will grow as a person. I WILL embrace it. I have felt for a while now that I have been in a rut and I am looking forward to this change. I am looking forward to sharing with you what I learn from this book, my findings and genuinely hope it will inspire you in much the same way. I was stood in the middle of a huge expanse in the Miami Convention Center at the International Congress of Esthetics and Spa surrounded by hundreds of different skincare lines and feeling, not only overwhelmed but incredibly excited. There were so many lines biding for the attention of the professionals in the hope of a sale and for the opportunity to utilize their skincare line in the professionals practice. While I think every line is great and every line has its place, not every line is perfect. Every line is known to have its ‘star product.’ I used to say this all the time when I was a sales representative specializing in outbound sales. First I was careful not to speak negatively about any of the competitors and I would also make sure I was astute to all the ingredients, buzz words and new technology that not only my line had, but my competitors had too. I have a standard in why I pick and choose the products I work with. My standard is that I have extensive knowledge of the company and the specific ingredients in each bottle. I also know that it works on a personal level as well. Some professionals make their choice by what they learned in school while others choose the philosophy behind the line. I write this for anyone who is pondering what line to carry in their practice. The following list are specific elements that a line should have. They read as an A to Z. 1) Are they certified toxic free? 2) Do they contain no hormone disruptor’s or age accelerators? 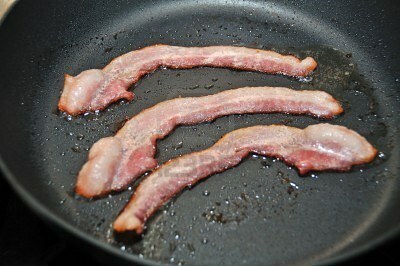 4) Do they go beyond natural and organic to “inhibit” cancer? 5) Do they reach and feed the “mother cells”? 6) Do they restore and repair broken capillaries? 7) Do they provide a unique one-of-a-kind luxurious experience? 8) Are they made with organic ingredients and contains “live” fresh resveratrol? 9) Do they naturally contain antioxidants and phenolic compounds? 10) Are they all natural but deliver cosmeceutical strength with visible results on the first application? 11) Are they all backed by clinical human trials to “inhibit” skin cancer? 12) Do they reduce free radical activity? 13) Do they stimulate cell energy? 14) Do they rapidly improve and heal acne, rosacea, dermatitis, seborrhea or any other skin conditions? 15) Are they healthy for the whole body? 14) Do they provide oral supplementation for body and skin? Chemicals are OUT. 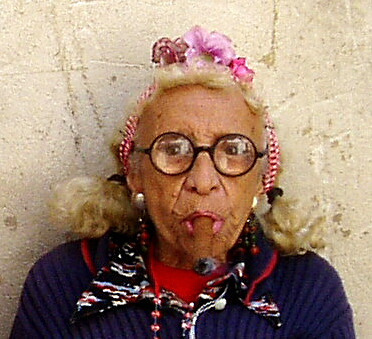 The “baby boomers” want to look good. Luxury proven ANTI-CANCER is IN and spreading like wild fire! I hope this helps you to make the right decision on what line to choose for your practice. I also hope this opens your mind to all the skincare lines out there and remember, every skincare line has its place and every skincare line has its star product. So many lines, so little time. Just take your time and find the best fit for you! About BEAUTY started in my head during a Real Estate specific networking group I visited the last week. I was the only person attending who was not in the real estate business. One of the leaders of this group is a home stager. I thought how brilliant it was for him to be the leader for a group that buys, sells and finances the one thing he can stage? Brilliant. I wanted to be him, but only in my industry. I started About BEAUTY with that thought in mind… to have people in my industry come to me, get educated, find support and network with each other all the while get to know me and my talents and how I can help them in business! Brilliant! The name was easy. It is a play off from About FACE which is my internet radio show on Rhino On Air that airs Thursday mornings at 9AM EST. About BEAUTY is an Open Professional Group for Education, Inspiration, Business Information & Networking, Beauty Industry focused. This is a group that is open to Beauty Professionals: Hair Artist, Makeup Artist, Massage, Salon & Spa Owners, Photographers, Nails, Boutiques and Fashion Experts. The meetings are more of a workshop: brainstorming, open forums, announcements and networking. Making your bottom line as beautiful as your clients!!! What Grade Does Your Makeup Get? There is a HUGE difference between over the counter products and professional products. Effectively it all boils down to how you get the products, did a woman behind a fancy department store counter help you, did you get a facial with an Aesthetician and did she recommended it to you? Believe it or not, there is a huge difference between the two. There are three different grades of makeup to choose from, over the counter, professional or medical. Let’s look at them in a little more detail. Everything you are able to use on your face is regulated by the FDA and the percentage of active ingredients in the product will determine just how you can buy it. Over the counter (OTC) constitutes less than 2% of active ingredients. You can acquire these products by means of TV, radio, department stores, grocery stores, beauty consultants (working with a MLM line) CVS, Walgreens etc. The products aren’t strong enough to hurt your skin providing you use them correctly. Many of my clients are happy with their products and being a professional I respect their choice. However, I think it all depends on what your expectations are, if a client is really happy using an OTC product then that’s good. Personally I’m happy to let my facials speak for themselves as my main focus is my client’s satisfaction. Professional: 2% and higher, up to 10% of active ingredients. The professional has a license and education that pertains to application and you can find these products in a salon, spa, dermatologist and plastic surgeon’s office. As these products are result orientated the focus and motivation behind the product is change. But for real change you’ll need a higher active ingredient in the product . Medical: 10% and higher of active ingredients. This is a prescription product only. The doctor prescribes the product for real change but it is mainly the patients who receive prescriptions for skin conditions and diseases. I hope this sheds some light on the subject. If you’re confused and want personal attention in this matter then I’d be happy to help you. I conduct a comprehensive 2 1/2 hour appointment in the comfort of a woman’s home, a one on one with emphasis on my clients concerns together with any questions they might have. 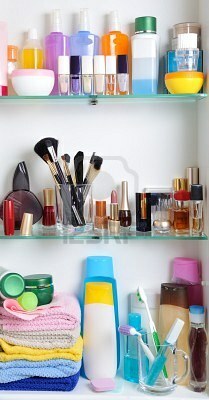 This is a great opportunity to examine the makeup and skincare she has in her drawers and is currently using. I go though their makeup and pitch the old, dated, wrong and expired. Believe me there are a lot of crazy things in a woman’s purse, I can understand why men are afraid of them. I then give suggestions for positive changes. Although Mary Kay started this idea I approach it from a slightly different perspective where my focus is on education not sales. I also do a step by step makeup application with a detailed instruction. The makeup is removed and my client can then apply the makeup herself with further instruction. I will demonstrate the most progressive techniques in makeup application and teach you how to accentuate the positive and eliminate the negative. After I leave clients are so happy that they ask me to do closets, kitchens and garages…but I think I’ll just stay with what I know. I do love what I do especially when I see the proverbial light bulb go on when a client figures out her daily regime and gets the look she is needing. It is magical! When it comes to products ask yourself a simple question, are you happy with it and is it helping you? Are you getting results? If not then I suggest you go up a grade level. It can make all the difference in your skin! I love and recommend Randy James LeBrecque’s line Rande James… check it out www.randejames.com and GloTherapeutics http://www.glotherapeutics.com ! If you are interested in any further information or would like a consultation then please visit www.skinchicinc.com for my number and special pricing, mention my blog and receive 10% off.